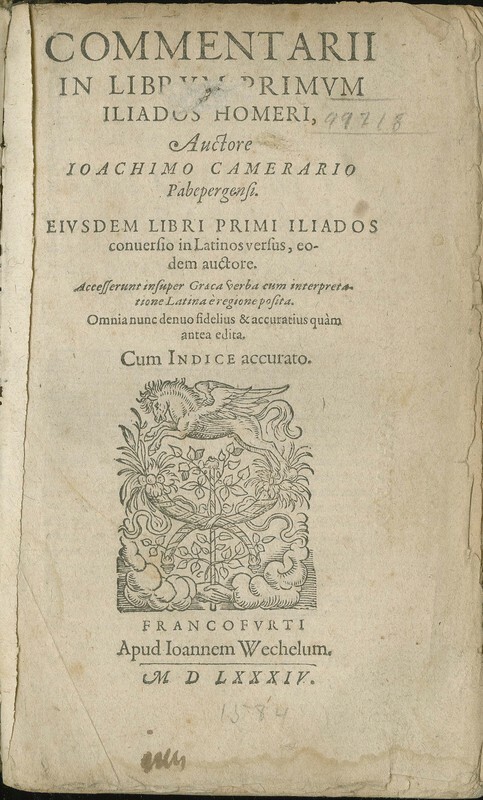 From antiquity, translators, scholars, and even regular readers of the Homeric poems, have detected numerous errors, narrative contradictions, and repetitions. They have also identified passages describing institutions and artifacts belonging to very different time periods. 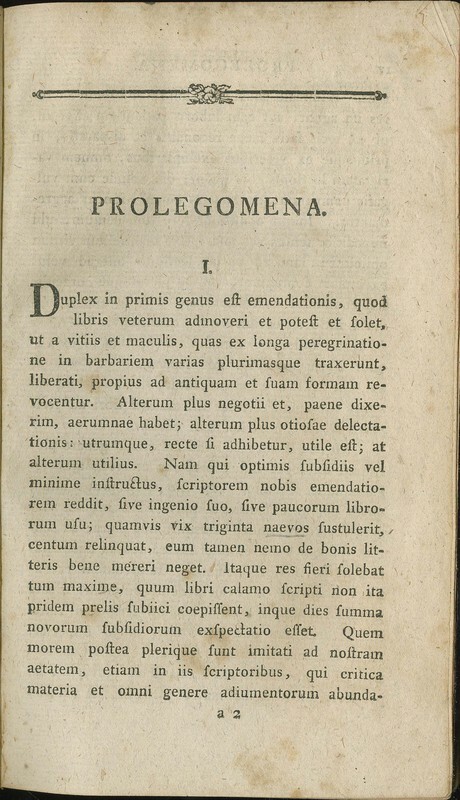 By the end of the eighteenth century, German scholars attempted to address these textual oddities by proposing that the poems were not the creation of a single individual but were the result of editing together separate tales composed by different poets. Led by Friedrich August Wolf (1759–1824), these so-called “analysts” believed that it was possible to identify the original tales that would eventually end up being part of the two poems. As explained in his influential Prolegomena, Wolf argued that the Iliad and Odyssey were composed around 950 B.C.E. and transmitted orally for four-hundred years until they were written down and, consequently, given a sense of artistic unity. 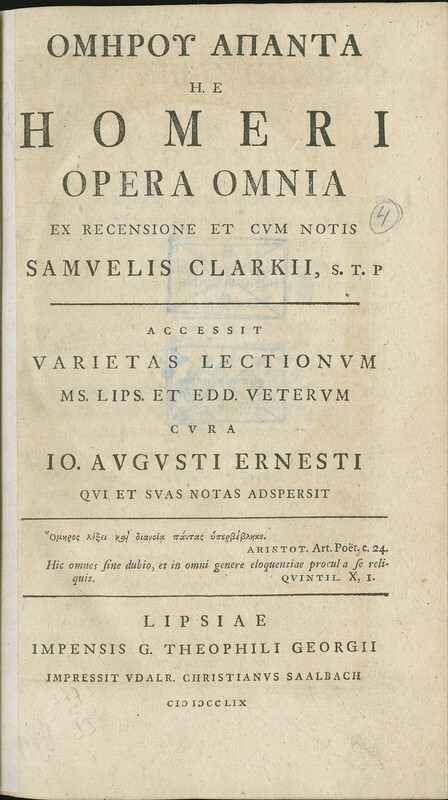 Prolegomena ad Homerum sive de Operum Homericorum prisca et genuina forma variisque mutationibus et probabili ratione emendandi. Homeri et Homeridarum opera et reliquiae. Ex veterum criticorum notationibus optimorumque exemplarium .de recensuit Frid. Aug. Wol.us. 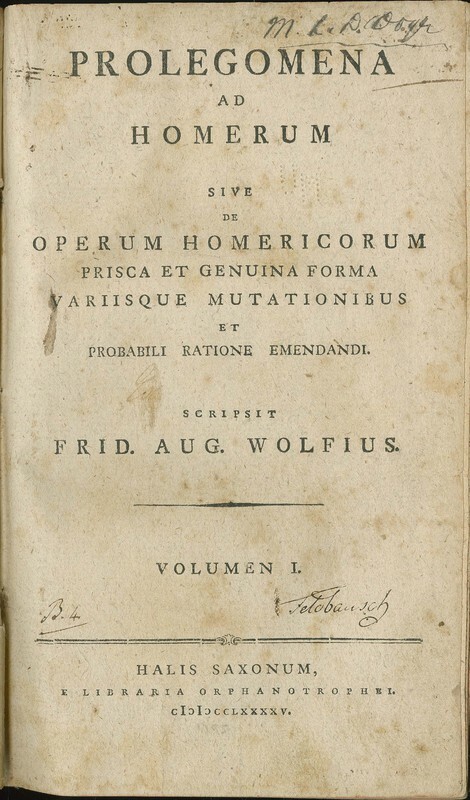 Halis Saxonum: E Libraria orphanotrophei, 1794–1795.